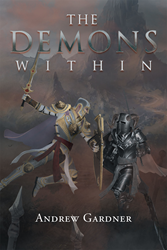 Recent release “The Demons Within” from Page Publishing author Andrew Gardner delves into Andrew’s contact with the world of demons as his reality becomes blurred between the supernatural and the real world. Andrew Gardner, a dedicated author and avid reader, has completed his new book “The Demons Within”: a gripping story of Andrew’s fight for survival and freedom from the demon within himself. Published by New York City-based Page Publishing, Andrew Gardner’s masterful tale switches in and out of the supernatural world and reality as Andrew grows up experiencing again and again mysterious encounters, dream sequences, and encounters with the supernatural. From his first meeting with his demon, Andrew is curious and then terrified. This entity continually draws Andrew into the supernatural world, making him question his own reality. Andrew comes to realize he must fight his demon and find a way to prevent this invasion into his world. This battle is too important to lose. There must be a way. Readers who wish to experience this chilling work can purchase “The Demons Within” at bookstores everywhere, or online at the Apple iTunes store, Amazon, Google Play or Barnes and Noble.